Leftover turkey is so useful that it might actually be a good thing to make more turkey than you need so you can explore your turkey leftover recipes. Once Thanksgiving is over, the fun begins. If you have planned correctly, you will have plenty of leftover turkey to play with. Turkey leftover recipes come in many variations from the quick and easy turkey salad to the more exotic turkey soufflé. There seems to be no end to the delicious dishes that can be whipped up with leftover turkey. A turkey soufflé is an elegant leftover turkey recipe. Serve this soufflé as soon as it comes out of the oven so it is tall and hot when you present it to your guests. Wrap a 1 1/2 quart soufflé dish with a 3 and 1/2-inch piece of white paper so that the paper is well above the edge of the dish. Tape or tie the paper in place. Mix the turkey, rice, crumbs, and the stock or gravy in a bowl until well combined. Season with salt, pepper, onion salt, and coriander. Beat the egg yolks until lemon colored and smooth. Fold gently into the turkey mixture. Immediately pour the mixture into the soufflé dish. Place the dish into a shallow pan of hot water. Bake for one hour and 15 minutes or until well risen and firm on top. Remove paper and serve immediately. This salad is delicious on top of a bed of fresh greens or served on rye toast. 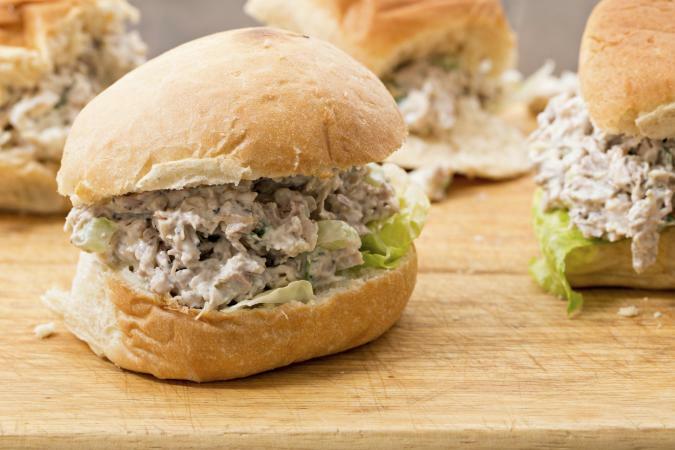 You can even stuff it in a leftover dinner roll for a mini turkey salad sandwich. 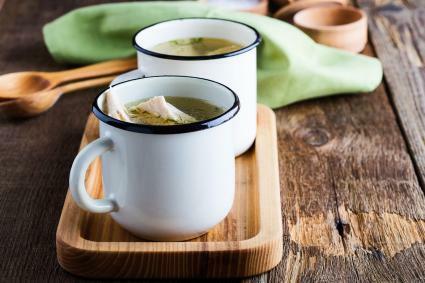 Wring every last drop of goodness out of a roast turkey carcass when you make this very flavorful soup. Cut all the good bits of meat from the turkey carcass and put it aside by itself. Take out any remaining stuffing and set it aside. Crack the bones and put them with any scraps of meat in a kettle with enough cold water to well cover them. Add onion, salt, and a little pepper and simmer. After simmering for two hours or until the bones are clean, strain through a colander, cool, and remove the fat. Add the sliced meat, both light and dark, in the proportion of 1 cup to a quart of stock and heat through. Add a few spoonfuls of the stuffing to the soup. Let all simmer together for half an hour and serve. This fun variation on the turkey meat pie has a rich taste that comes from the truffles. If you don't happen to have any truffles on hand, you can use a sprinkling of truffle oil that can be found at your local specialty shop. Scald the oysters in their liquor for five minutes. Drain the oysters, saving the liquor. Place a layer of turkey in the pie pan. Season the turkey layer with celery salt, nutmeg, salt, and pepper. Add a few dabs of butter and some very thin slices of truffle. Sprinkle some olives over the layer. Then place a layer of oysters over the turkey. Season the oysters in the same manner as you did the turkey layer. Add turkey broth to the oyster liquor to come to 1/4 cup. Pour the oyster/turkey mix into the pie. Fit the pastry over the pie dish, crimping the pastry over the edge of the pie dish. Cut some holes into the top of the pie to let out the steam. You can use your left over turkey to make a fabulous side dish, a fantastic sandwich, or a wonderful dinner pie. These turkey leftover recipes can come in handy to change up your dinner menu.